The Boston Marathon is 14 weeks from today. For my past 5 marathons I used a modified Hall Higdon’s Intermediate plan. I have toyed with the idea of hiring a coach for the past 2 marathons but could never figure out who or how it would work. On the plane to CIM we sat next to this awesome guy Robbie. He is a UPS driver, but also coaches runners. We had similar ideas about running and he gave me some great tips for CIM. At CIM I finally got my sub 4:20 marathon and decided to hire Robbie for Boston training. So far the training has gone well. My type A personality makes me run what I’m told. The hardest thing has been to run “easy”. I have a tendency to run all my runs too fast. Robbie has started right away with hill and speed work. These are not my favorite things, but I know they will make me a stronger runner. I’m also running a few more miles than I would be with a Higdon’s plan and so far so good. This was the plan for last week. Sun 9-11 mile long recovery. I’m looking for early morning running buddies if you’re interested let me know. I’m running the Boston Marathon for Dana Farber Marathon Challenge. Any donation to my run is greatly appreciated. 100% of the money raised goes directly to cancer research. 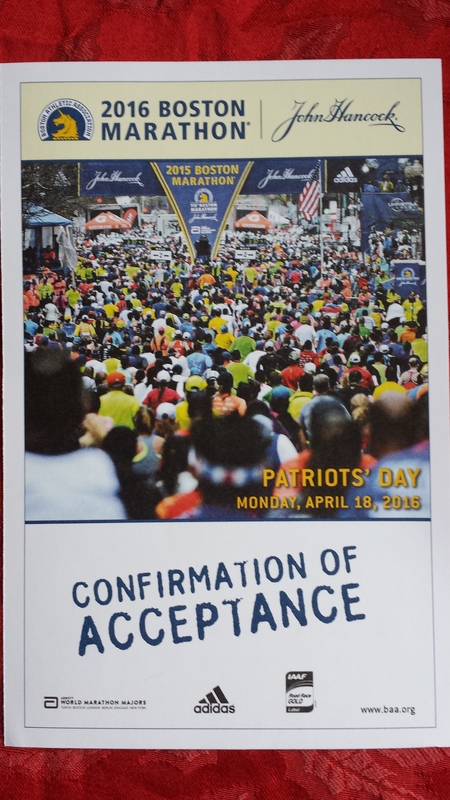 This entry was posted in Uncategorized and tagged Boston Marathon, DFMC, Running. Bookmark the permalink.